Linux and EMC2 Newbie - What to upgrade? Im just starting out with CNC and have picked up a Taig Micromill (inch leadscrews) . Really liking it and think it is a perfect place to start, since i can gradually add things to my setup. 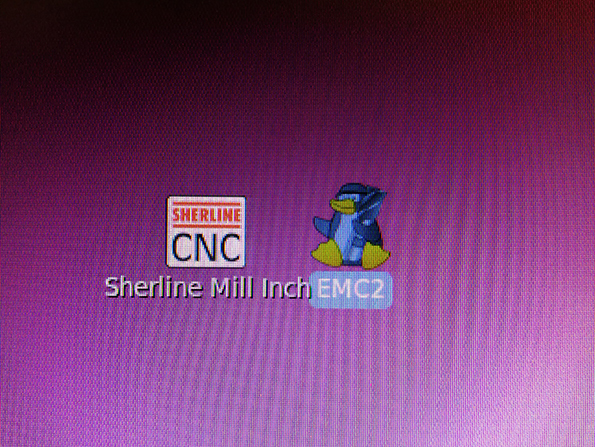 Problem I am having is trying to upgrade the Sherline computer which i got with it, to the latest Linux CNC. Apparently it is running EMC2, which is the older version of Linux CNC. My OS is a little out of date also. Does anyone have any advice on how to go about the best way to upgrade this setup to the latest version? Upgrading Linux first? Then doing a clean install of EMC2 - LinuxCNC ? Replied by Todd Zuercher on topic Linux and EMC2 Newbie - What to upgrade? That is a very old install. The simplest route will probably be to download and install the current iso. But before you start you should first back up your old system and save your machine configuration files so you can access them from your new install. Next confirm that your old PC meats the minimum requirements for Debian 7 and test that it will have good enough latency (boot the live iso and run the latency test. ) If it checks ok, install and start checking the update changes that will need to be made to your config files. Replied by Eddie J on topic Linux and EMC2 Newbie - What to upgrade? Thanks Todd, I'll certainly take your advice and do a fresh install. This Debain is better than Ubuntu? Or does it not really matter the OS for LinuxCNC? First time using ISOs, good luck to me! Luckily my CAD is better than my OS management! 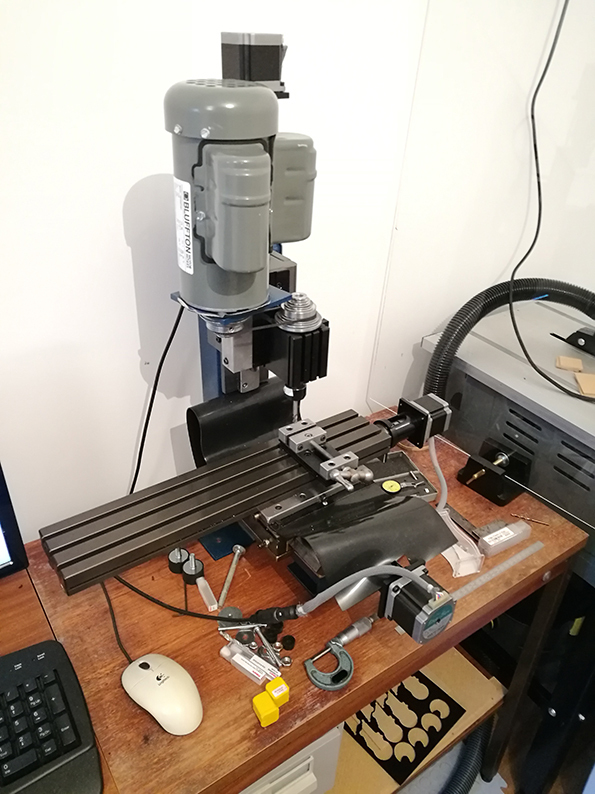 Linuxcnc stopped using Ubuntu as the base system about 5 years ago when Ubuntu changed their licensing rules making it too difficult to allow 3rd parties to make their own release based off their distro. But running these older releases may be advisable if your hardware isn't up to the task of running the newer OS. The newer OS does have higher minimum system requirements and often gives poorer latency test scores with older hardware. Generally anything with a multi core cpu will be better off with the newer OS. Last edit: 09 Jan 2019 16:08 by Todd Zuercher. Thanks Todd. I dug into the specs, not great but not too shocking. Which the pc exceeds thankfully. Replied by andypugh on topic Linux and EMC2 Newbie - What to upgrade? You can upgrade a Ubuntu Lucid machine to the latest released version (2.7.14) of LinuxCNC without updating the OS. Replied by BigJohnT on topic Linux and EMC2 Newbie - What to upgrade? 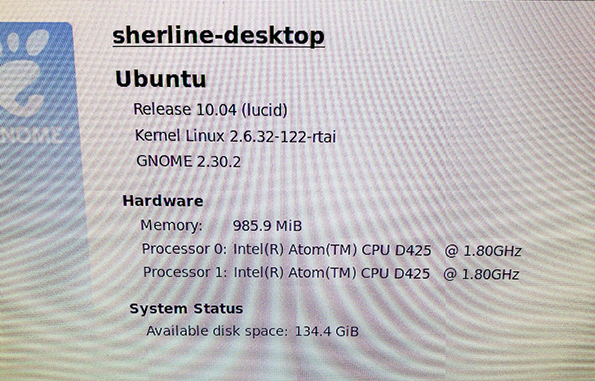 I have 3 machines still running Ubuntu 10.04 with the latest version of LinuxCNC. Just a couple of bits which i dont follow where the info is on the old config files. Here i am just unsure about leadscrew pitch (i cant get to my leadscrew easily!) and motor steps per revolution. Any advice where to find those details, from the old INI files or otherwise? And this section, i used the defaults for "sherline" but the mill is a taig and the motors are not sherline. So i would need to dig up this info from the old INI files also i guess, or find out these values another way? Replied by Leon82 on topic Linux and EMC2 Newbie - What to upgrade? Tape a scale to the base and draw a line, then turn the screw manually. If you have inch dials and 10 turns move an inch you have 10tpi. 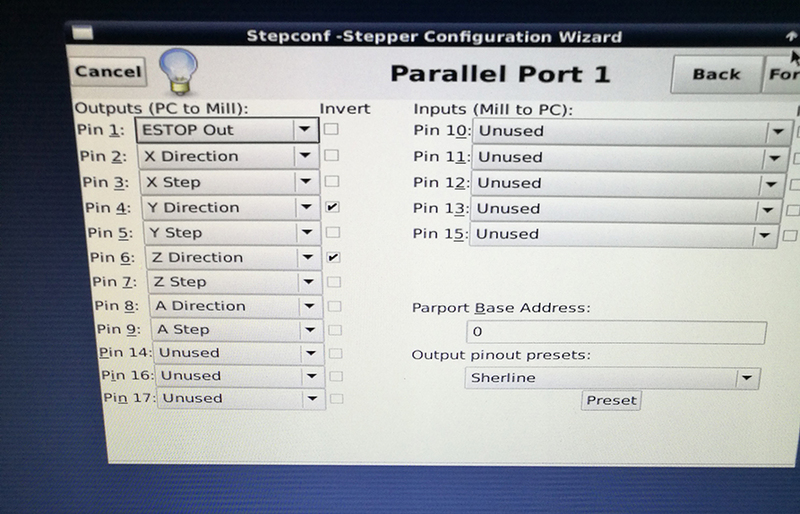 You could also go back in and tweak the stepconfig after you can get an indicator on it . You may be able to measure the z by removing the sheet metal. I would start with the default, I think sherline uses the same settings though. Last edit: 10 Feb 2019 20:19 by Leon82. Thanks Leon! I did as you suggest and got 20 revolutions per inch. Set that up now. Couldnt see a steps per rev on the data sheet. But will stick with 200 for now.